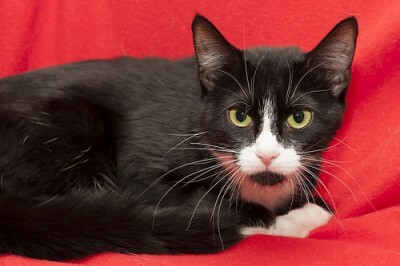 Mona Lisa is a sweet, curious, friendly young cat who loves to play. Mona was left running loose in our parking lot with her month old kittens. Thanks to our dedicated volunteers, Mom and the babies were saved. Mom is now looking for a home of her own or even with her “kids” Madonna and Mick Jagger.